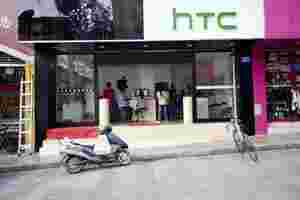 Taipei: HTC Corp said on Monday it will put equal investment weight on emerging markets next year as it does in developed ones like the US and Europe, and will dip its toes back into the tablet market with a new model next year. HTC CEO Peter Chou told a media briefing HTC would not give up its “premium brand" image by expanding in emerging markets through cheap phones. “Customers are willing to pay more, that’s why we have grown nearly five times in China this year. It shows that customers support our philosophy," he said. The company has only released a single tablet model, back in February, opting to focus on other phones instead. But Chou said the company is still eyeing the market. “Tablet is a market we would like to try and test, to see whether we can make ourselves stand out and prevent a me-too product," he said. HTC is one of the largest manufacturers of devices based on Google’s Android operating system. Google CEO Eric Schmidt will visit Taipei on Wednesday and is expected to talk to local vendors, but Chou said he will be in China and may not be able to meet Schmidt. HTC is embroiled in an acrimonious patent war with arch-rival Apple, which has filed several patent lawsuits against the Taiwan-based company in the last two years. The suits are in part about Android. Last Monday, HTC warned its sales in the fourth quarter, traditionally a bumper sales season for smartphones, would drop below the previous quarter and below analysts’ forecasts as competition heats up and strapped consumers spend less. HTC, which in a few years has risen from obscure origins as a manufacturer for other others to become a top brand, will lose market share to Apple and South Korea’s Samsung in the race for holiday season sales, analysts said. HTC had a fairytale ride in 2010 and early 2011, with its shares more than tripling in the 14 months to April 2011 and sales growing four-fold in one and a half years as consumers snapped up its innovative phones with their distinctive large clock numerals. It moved up one spot on the league table in terms of shipments last quarter, surpassing Research in Motion to become the fourth largest smartphone vendor in the world, according to tech research company IDC.